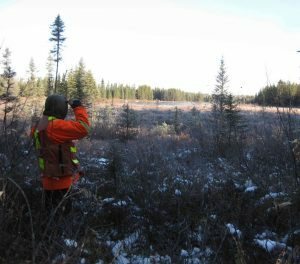 ONTARIO – Transition Metals Corp. of Sudbury, ON, reports that it has discovered a new platinum group metals-enriched intrusion within the Midcontinent Rift at the company’s Saturday Night property. The project is 25 km north of Thunder Bay. The Saturday Night Intrusion (SNI) was discovered by a single, 601 metre drill hole (SN-16-001), drilled by the Transition to test an 800-metre-diameter magnetic target with similar characteristics to the company’s award winning Sunday Lake platinum discovery 16 km to the east. Assays from core samples returned 6.25 metres averaging 1.07 g/t PGMs including a higher grade section of 4.0 g/t PGM and 0.56% Cu over a core length of 0.30 metres near the interpreted base of a >200 metre thick sequence of early-rift intrusive rocks. The SNI overlies a prominent circular remnant magnetic anomaly, similar to anomalies associated with the Sunday Lake and Thunder Bay North intrusions. Transition noted that the intersected mineralization is associated with the mafic to ultramafic lithologies along the basal contact of the intrusion. The area of interest is comprised primarily of disseminated to blebby pyrrhotite and chalcopyrite. According to its website, Transition is seeking a partner to advance the Saturday Night project. Please visit www.TransitionMetalsCorp.com.